Wim Hof is a Dutch man commonly nicknamed « The Iceman » for his ability to withstand extreme cold, holding 20 world records. 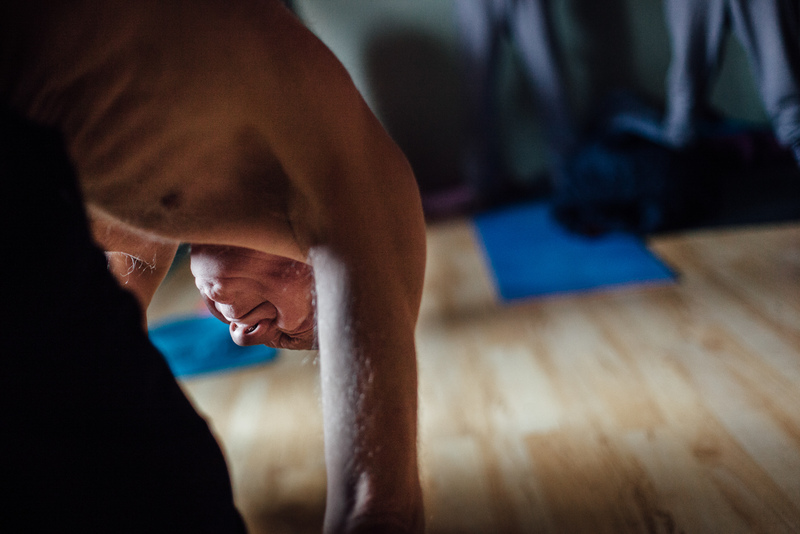 He believes that meditation and training can help you resisting cold, and cure some deseases. He organizes workshops open to anybody willing to learn his techniques. 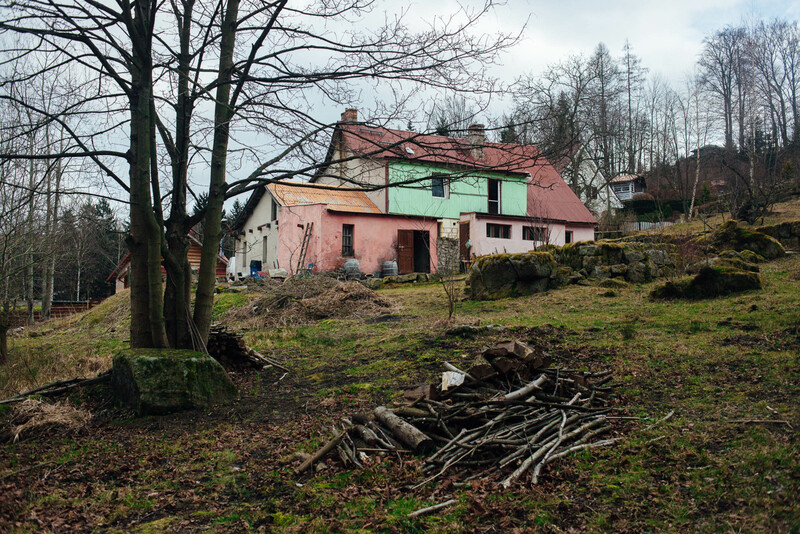 Wim Hof house, in which students are trained to resistance to cold. Meals for trainees during the resistance to cold workshop provided by Wim Hof (Iceman). Trainees warm up and perform breathing exercises during the course of resistance to cold organized by Wim Hof (Iceman). 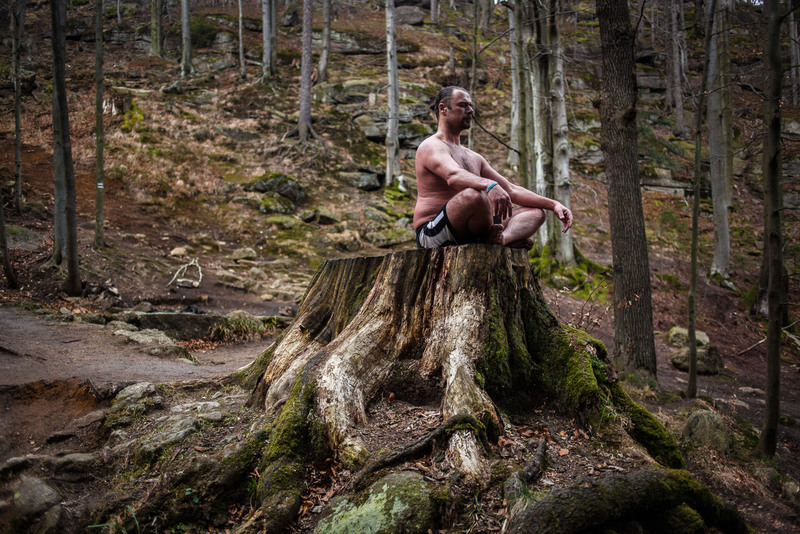 Wim hof performs a yoga pose before entering the water at 1 ° C during the course of resistance to cold he organizes. Students enter the water at 1 ° C and stay for 5 minutes during the course of resistance to cold. 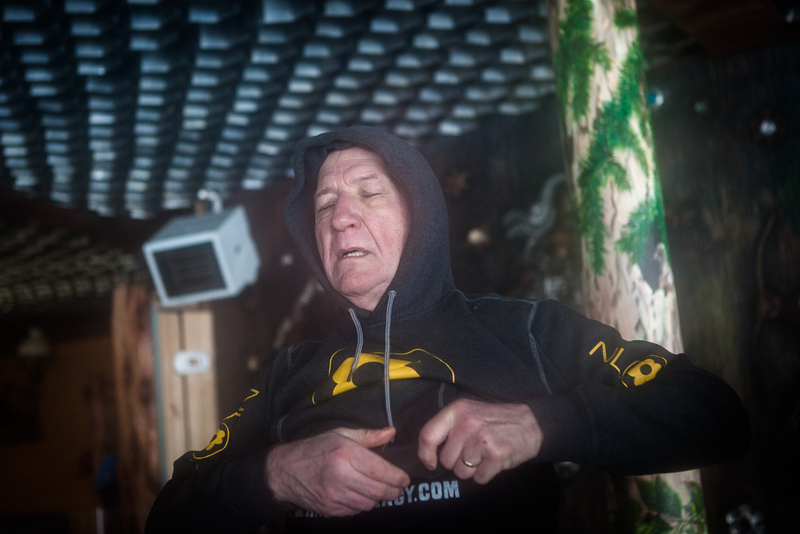 Wim Hof (Iceman) and his students in the sauna. 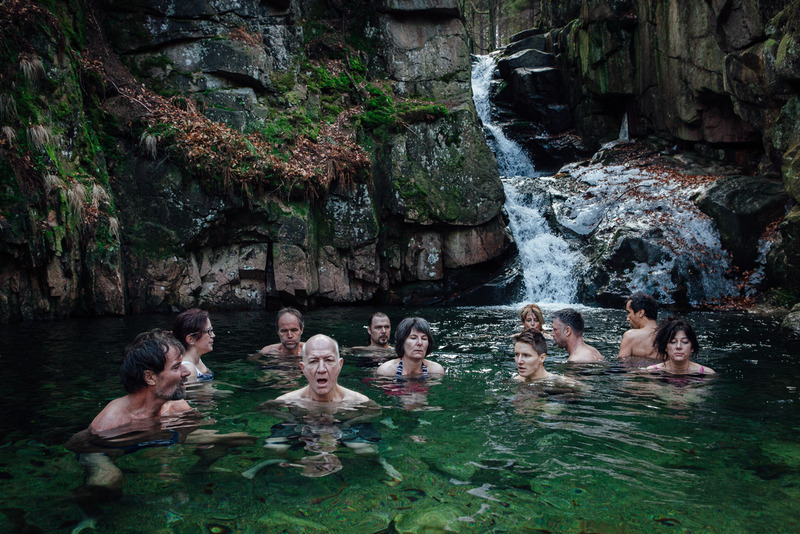 Wim Hof (Iceman) and his students head at night to a waterfall at 1 ° C in which they will swim. Ockels, 67, former astronaut, fights against kidney cancer he’s seeking to cure at this resistance to cold workshop. Students go out of the 1°C water after a stay of 5 minutes during the course of resistance to cold. 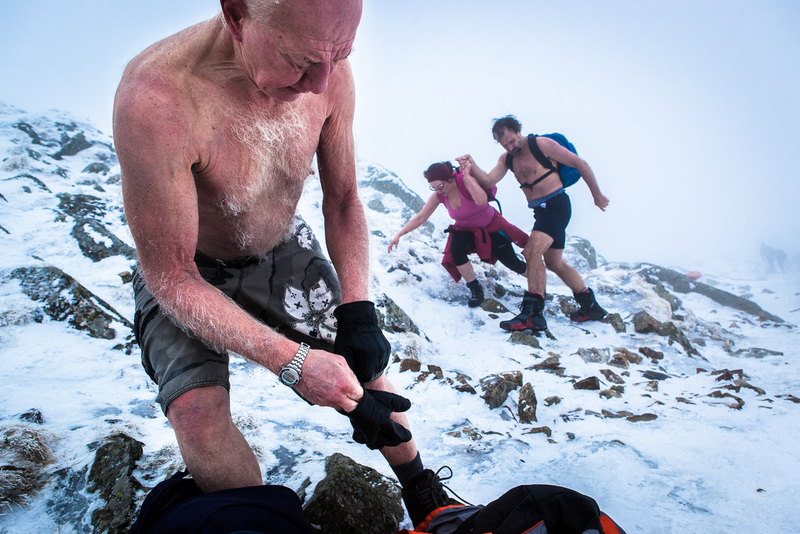 Trainees begin the ascent of the mountain Sniejka, almost without clothes. Wubbo Ockels, 67, former astronaut, fights against kidney cancer he’s seeking to cure at this resistance to cold workshop. 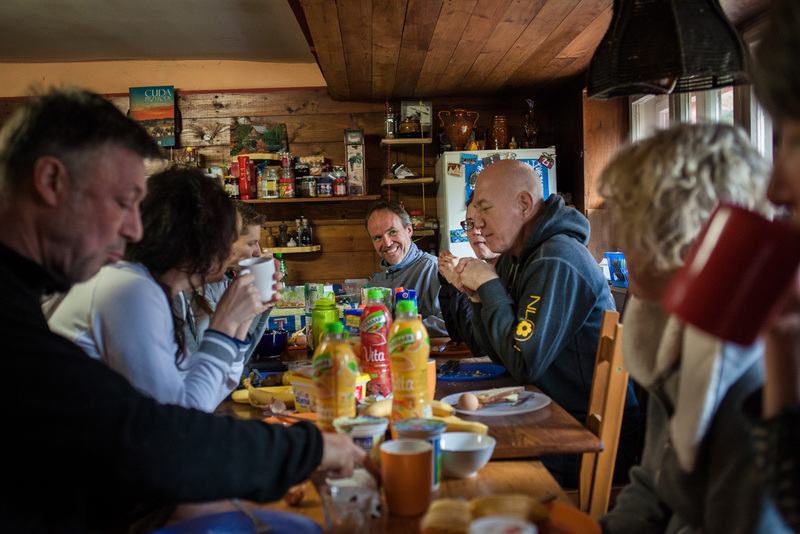 Wim Hof, aka Iceman, helps Pauline, one of his trainees, in the ascent of the Sniejka mountain, by temperatures close to 0 ° C.
Ockels, 67, former astronaut, fights against kidney cancer he’s seeking to cure at this resistance to cold workshop. 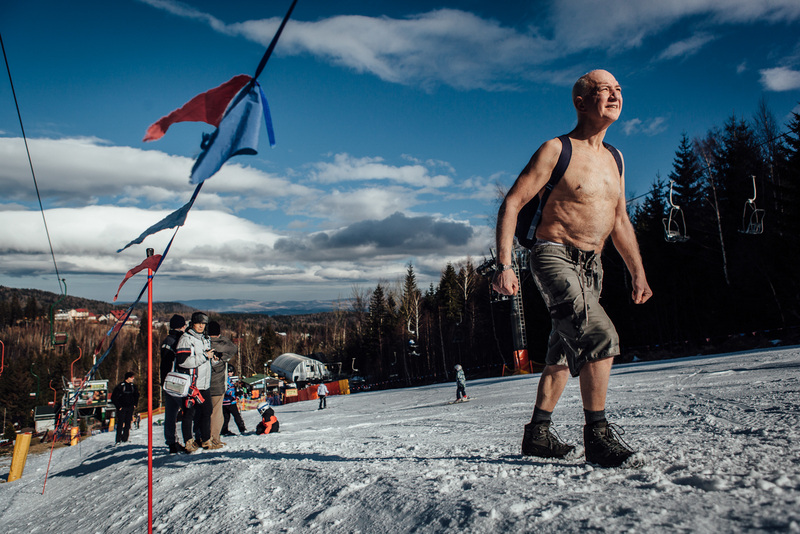 He’s here climbing the Sniejka montain, with temperatures close to -10°C, accompagnied by Wim Hof, aka Iceman. Ockels, 67, former astronaut, fights against kidney cancer he’s seeking to cure at this resistance to cold workshop. He’s here climbing the Sniejka montain, with temperatures close to -10°C. The group of Wim Hof’s (aka Iceman) trainees congratulate after arriving at the top of the mountain Sniejka by temperatures near -10 ° C. This climb is the final exercice of the resistance to cold workshop organized by Iceman. Ockels, 67, former astronaut, fights against kidney cancer he’s seeking to cure at this resistance to cold workshop. He just finished climbing the Sniejka montain, with temperatures close to -10°C. Wim Hof, aka Iceman, explains to students breathing techniques to resist the cold.